<<< While I was surfing the net for inspiration I stumbled upon this seemingly simple small heart pattern. 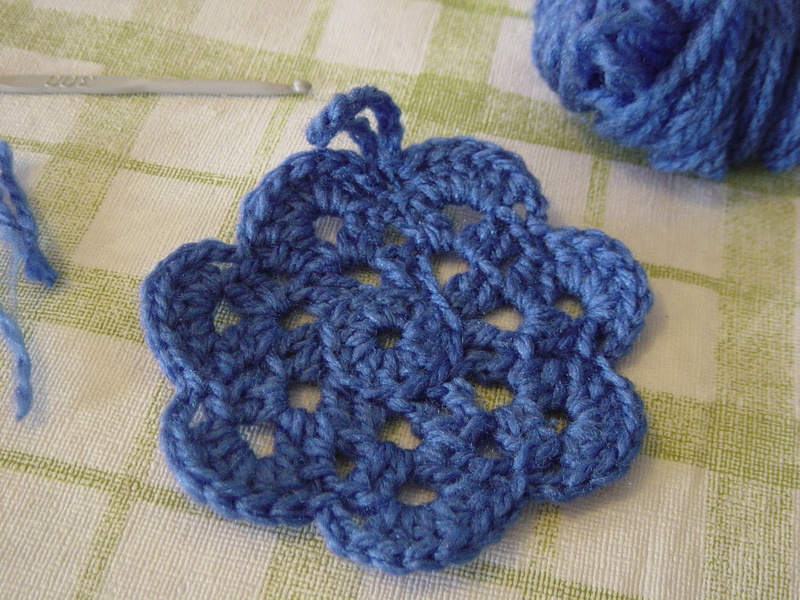 I had success with the pattern from Crochetspot, so thought I should give this one a go, too! It's a little wonky I know, but I think my next one will be less so. I don't know what I'll do with it, but who knows, it might end up as a bag handle end or something, lol. >>> I used the same wool as I did yesterday when I whipped up a quick project at the end of the day. I got the idea to make a scraptrap from Granny Judith's website. 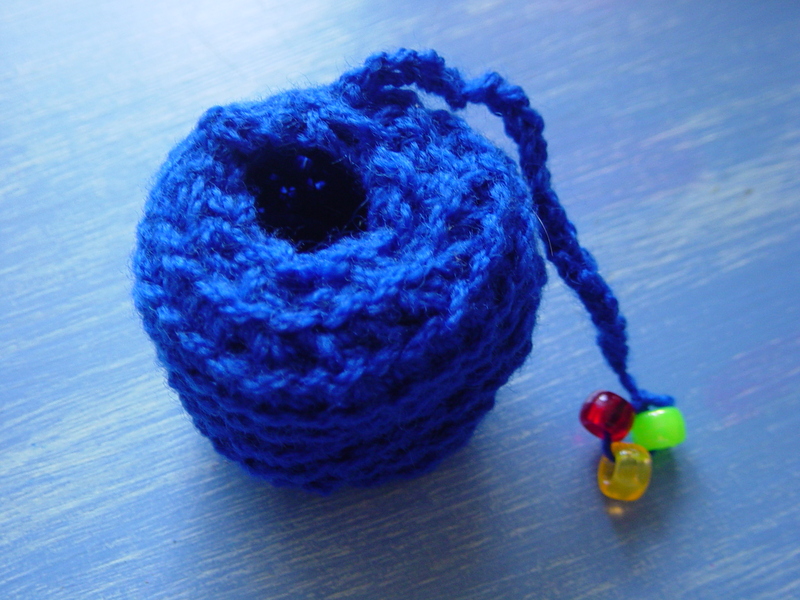 But I figured I could use it as a pin cushion when it was done, instead of a child's toy. 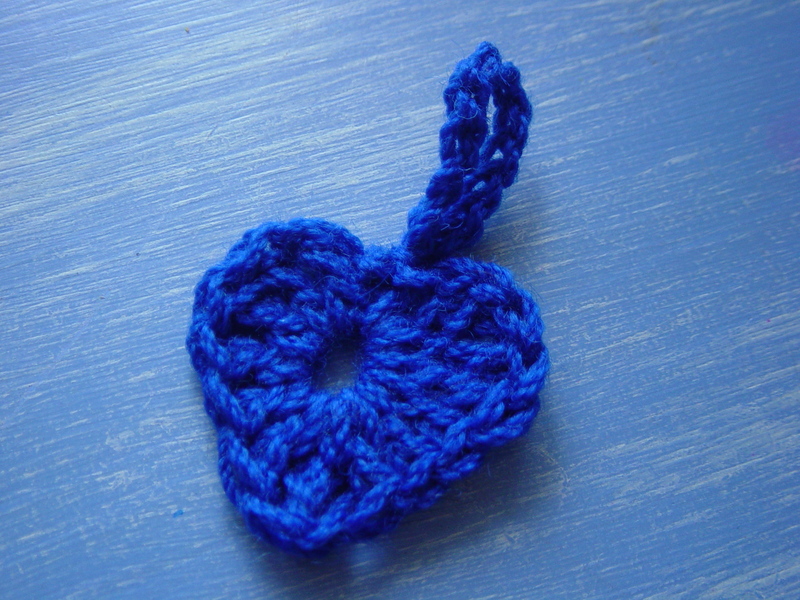 I didn't use any pattern, I just made it up as I went along, so like my blue heart, its a little wonky! But for a pin cushion, I have a feeling that's going be quite ok (take That, perfectionist tendancy!) And at the end of the day, I had a heap of cotton and scraps to go in it already. It was an excellent way to finish up the day, with a quick tidy up! <<< While I'm waiting to go to the doctor, I'm keeping myself busy so I whipped up this one in a few minutes. I really liked this photo of a ten petal flower doily. I just looked at the picture and tried to copy it. My flower only has seven petals because I didn't count the dc in the 1st round. I just ... gave it a whirl! !